Price on petrol in Australia October 2018 Is buying house in Australia worth the effort? 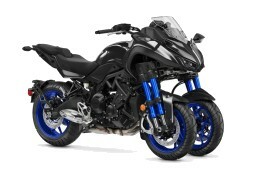 Yamaha has quite a few naked motorcycles in it’s motorcycle lineup. We like the the MT Series and the sports bikes but there was only one thing missing and that was a ‘fancy’ or ‘hero’ motorcycle model. I use the word Fancy meaning a special model that is not easily duplicate by other manufacture without being called a copy. 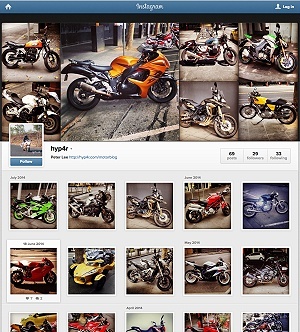 For example Kawasaki has the Ninja H2 and Suzuki has the forth coming Katana. Hence welcome to the 2019 Yamaha Niken, the most unique motorcycle in the Yamaha motorcycle range. The first 3 wheeled ‘sports’ motorcycle that’s not in the scooter class! In terms of design the Yamaha Niken is completely 2018 until you see the front end with is dual tyre and quad fork arrangement. It’s one the few 3 wheeled motorcycles and the only one that looks like this and a different concept to to the others. While the main chassis is all MT-09 I think the new Quad suspension is a nice feature. In terms of technology, specifications and performance the Yamaha Niken is based on the MT-09 so the major mechanical elements are based around the 3 cylinder 850cc engine. All the tech features include, adjustable traction control, ABS, quick shifter and cruise control. The front wheels are also an advanced design by being both singled sided adds to it’s tech standouts. Many think that adding two front wheels is a simple process however it’s not that easy with a ton of technical work to get the wheel stop angle correctly in all sorts of situations. That said I would have liked the DAKAR trialled 2 wheel drive. The Yamaha Niken is certainly a stand out motorcycle in having 3 wheels and the fact that Yamaha have made deliberately designed it to look so cool is brilliant. Furthermore there’s enough power to be a bit of a sports tourer. As a former DN-01 owner the Niken is the sort of bike I’m interested in. Will it be a popular model? probably not due to the staring price of around $20,000 AUD. US price in $15,990 for the standard model. It’s a niche motorcycle after all.